With 25% of all your Kabbee journeys going to and from London’s five airports, we wanted to give a little something back to reward users. We launched a competition in August that gave some lucky winners free Kabbee credit to get their next airport journey for free. 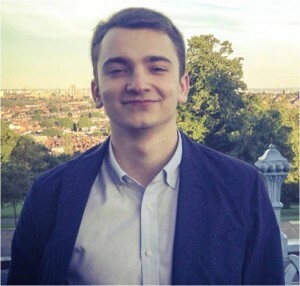 Artyom works as an oil and gas consultant in London and enjoys keeping fit in his spare time. He is also greatly interested by politics, so is often found with his head in a newspaper or watching the news channels. Yoel runs a small consultancy in London and is also due to open an office in New York City. As Yoel is often on the move around the capital, he uses Kabbee for all of his cab journeys around London. Being a regular user, Yoel mentioned that he was very happy to reap some lovely rewards. Next: Get a minicab to the catwalk and win! London Fashion Week Limited Edition Watches up for Grabs!